A broad coalition of transportation labor, environmental, community and passenger advocate leaders launched a new national partnership – Keep America Moving -- to rescue the nation’s financially distressed mass transit systems at a press conference at New York’s Penn Station March 31, 2010. Founding members of Keep America Moving, including Rev. 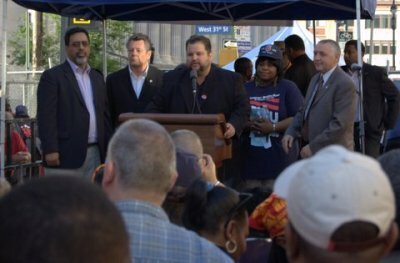 Jesse Jackson, Transport Workers Union Local 100 President John Samuelsen, ATU International President Warren George and TWU International President James C. Little articulated the plight of mass transit in America and the steps needed to fix the crisis at the event. 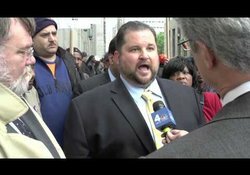 TWU Local 100 President John Samuelsen went to Cleveland last Saturday to appear with the Rev. Jesse Jackson and union officials to call for a full-court press to support a new bill being introduced Monday, May 24 in the U.S. Senate to fund mass transit. Called the Public Transportation Preservation Act of 2010, the bill is supported by the Keep America Moving coalition, which includes over 60 transit unions from across the United States. 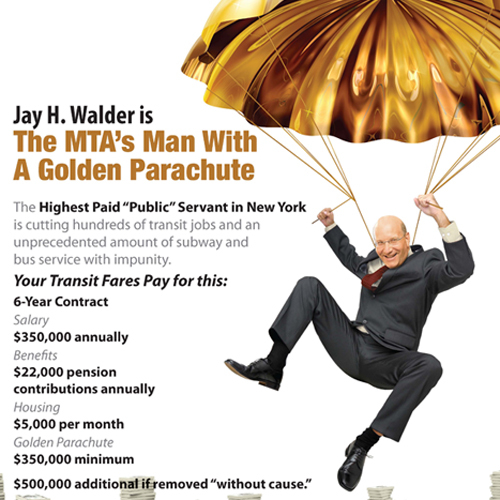 The Highest Paid “Public” Servant in New York is cutting hundreds of transit jobs and an unprecedented amount of subway and bus service with impunity. 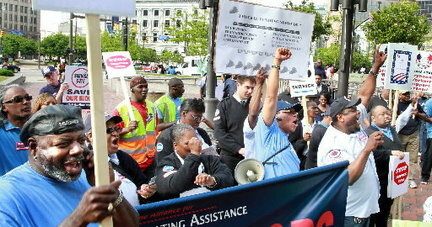 TWU Local 100 fought pitched battles in the courtroom and in the media this week, to keep our Station Agents working. 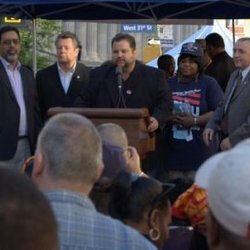 We won a temporary restraining order on Wednesday, May 5th that blocked the layoffs of 475 Station Agents, only to see the MTA hit back with a memo closing SCA booths and firing 266 of those Agents last Saturday. Those firings were carried out this past Tuesday, but our members may still be recalled. Arbitrator Richard Adelman is weighing whether management was within its right to close these SCA booths, voiding members' pick rights. Call Senator Schumer! Ask him to support emergency funding for mass transit NOW! It's up to us and every New Yorker to ACT NOW! Please call Senator Schumer and ask him to stand up for city straphangers and transit riders across the country. 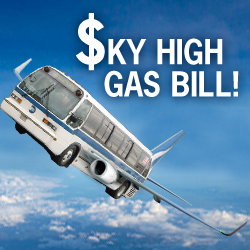 Ask the Senator to support emergency funding for transit NOW! Senator Schumer's DC office is 202-224-6542 and his New York office is 212-486-4430. Made your call already? Tell your family and friends. Saving mass transit is for everyone. 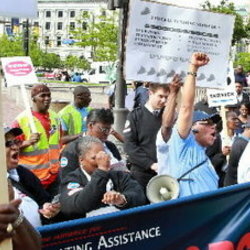 2500 Transit workers and supporters rallied a block from Penn Station on May 4, in an event timed to coincide with other actions taken around the nation to protest the insufficiency of federal funding for mass transit. The Rev. Jesse Jackson spoke as part of the Keep America Moving coalition, an alliance of transit workers, advocates for workers and the poor, and environmentalists, that has been spearheaded by TWU Local 100 President John Samuelsen and ATU International Vice President Larry Hanley. WASHINGTON, DC -- APRIL 27, 2010: Over 3,000 transit workers, primarily from TWU and ATU local unions -- converged on Upper Senate Park today in the shadow of the Capitol to demand better funding for mass transit.